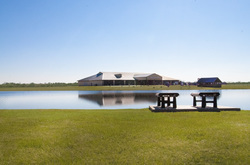 Nestled on over 800 beautiful North Texas acres, Beaumont Ranch provides unique wedding and event spaces with an extravagantly Texan flair. From elegant ballrooms for the most formal affairs to casual settings for bridal parties in boots, Beaumont Ranch has options that will leave you and your guests breathless. Beaumont Ranch boasts a striking collection of event spaces, with hand-crafted details and mixing vintage and contemporary styles, state-of-the-art technology, as well as indoor/outdoor ceremony and reception options. 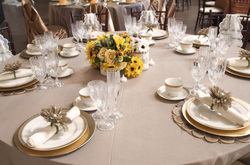 At Beaumont Ranch, we understand the preparation and thought wedding planning requires. It is the goal of our Event Coordination Specialists to ensure your wedding will be the lovely cherished memory you dream of for years to come. Whether you are planning a small wedding with 5 of your closest friends, or a grand gala for 500 of your nearest and dearest, our staff is here to make your vision of the perfect wedding a reality.